The Superstar Shake-up is just a few hours away and we are all set to witness a few major changes on the roster. Some RAW stars might move to SmackDown and the opposite could also happen. One of the key points of discussion has been the future of New Day. Since it is the Superstar Shake-up, we just can’t rule out the possibility of the popular faction being split during the event. In fact, Sportskeeda Wrestling’s beloved Riju Dasgupta argued here, that New Day could be split, and gave us five signs that point towards the same. On top of that, WWE wrote an article on their website titled, ‘5 moves we want to see in the 2019 Superstar Shake-up’, in which Xavier Woods was one of the wrestlers teased to switch brands. 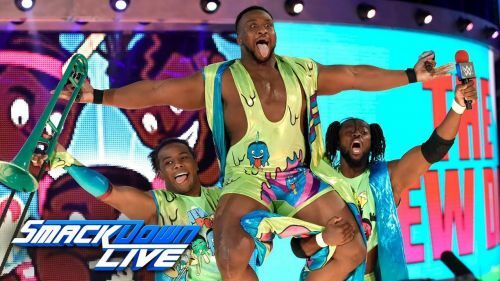 However, contrary to the beliefs stated above, it is unlikely the New Day would be broken up during the Superstar Shake-up, and here are four reasons why. New Day started off as a group that wasn’t meant to become big. However, their unorthodox approach and creative freedom allowed them to go over with the fans. 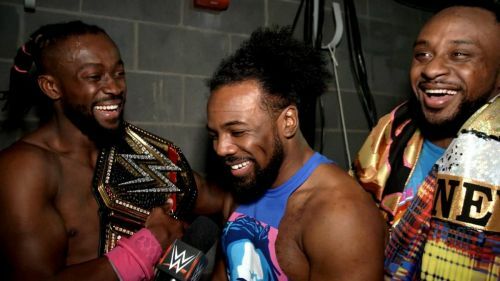 The power of positivity spread across the WWE Universe as New Day became one of the best, if not the best thing about WWE. Even though what they do might be childish, it is 100 percent original and is done with real conviction. The overall character work here and the backstory is just too strong to end. "Kofi and Big E were two guys I was championing backstage like 'let them do something, let them do something.' Now they're doing thier own thing,"
"That's what gets over there, when people lose their minds. You have to reach the point where you don't give a f--k, and if you've watched those guys, they clearly don't care. It's brilliant, and when the performers in the ring are having fun, it's infectious," said Punk.